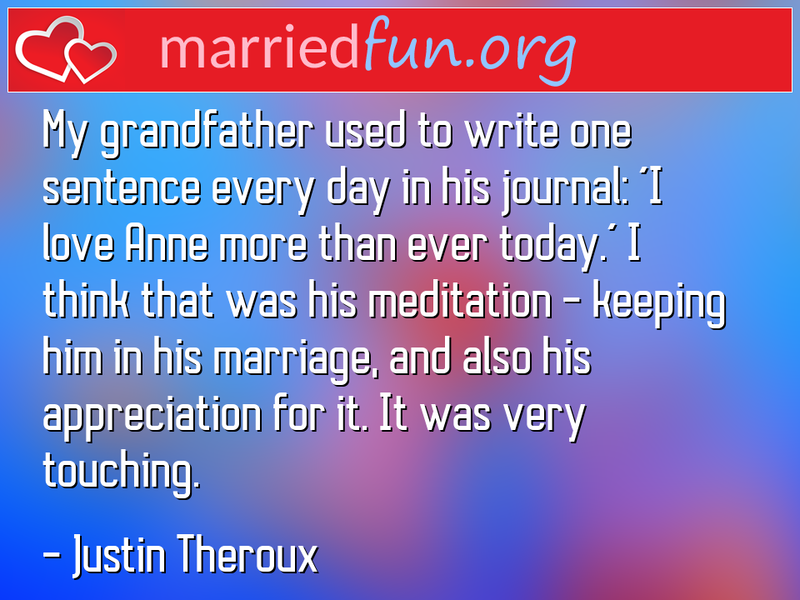 Marriage Quote - My grandfather used to write one sentence every day in his ... - Married Fun! My grandfather used to write one sentence every day in his journal: 'I love Anne more than ever today.' I think that was his meditation - keeping him in his marriage, and also his appreciation for it. It was very touching.